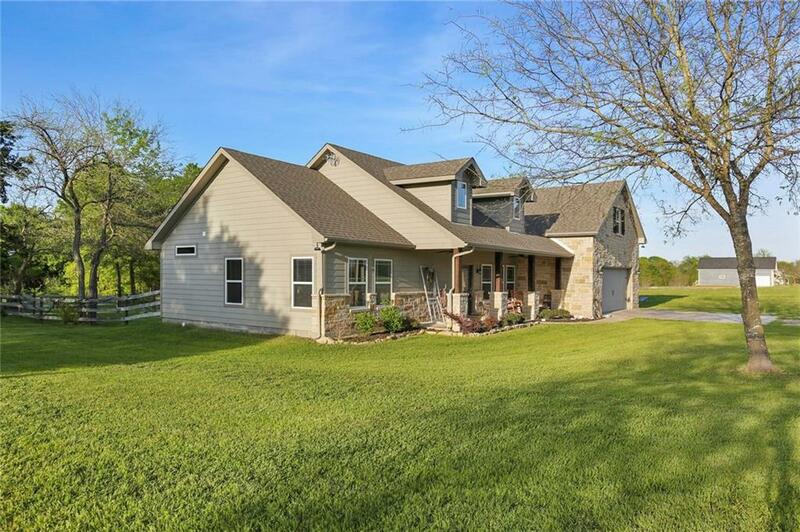 NEWER HOME comes stocked w-modern touches on PICTURESQUE 4 ACRE RANCH SETTING! 1.5 stories--only Game Room up illuminated by DORMERS, WIC (PLUMBED for full bath) + large attic ready for addt'l room. 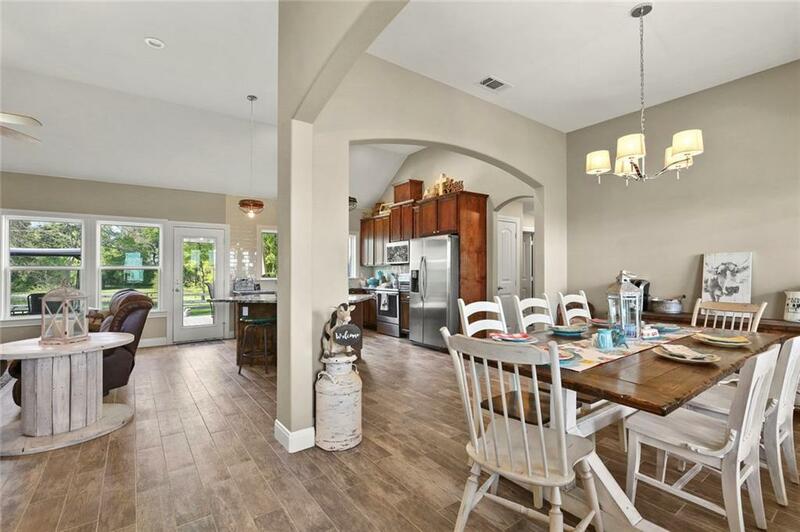 DESIGNER details thruout incl recessed lighting, wood-look TILE in GREAT ROOM-Kitchen-Dining. Kitchen boasts GRANITE counters, stainless appliances, bkfst bar island & PICTURE WINDOW overlooking your BEAUTIFUL property! Master features tray ceiling & GORGEOUS bath w-separate vanities & CUSTOM tile shower lit by transom windows! 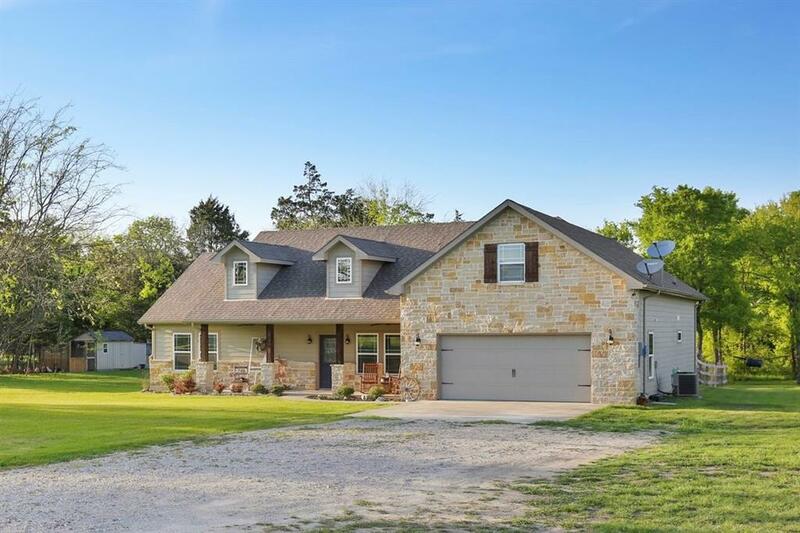 Exterior includes DECK, firepit, fenced goat or calf pen, PADDOCK, CHICKEN coop, shed, & CATTLE RUN leading to creek & more acreage behind the tree line, electric GATE, lg garage & AG exempt. 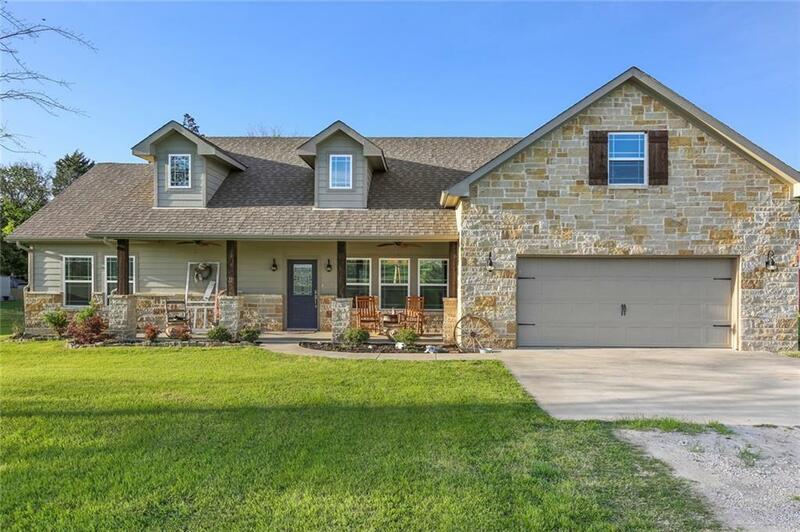 Offered by Jessica Hargis of Keller Williams Realty Dpr.